Vincent is a board-certified Emergency Medicine Physician and holds a 100 ton masters license from the United Sates Coast Guard. In addition to his role on our Advisory Board, he also does work with the Global Shark Attack File. 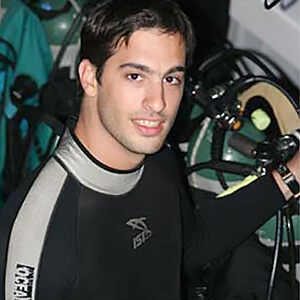 Vince began diving with and filming sharks at the age of 14. Since he went on his first shark dive, his passion for sharks has taken him around the globe. Vincent owns and operates Epic Diving, a company that believes in conservation-minded shark tourism and with a focus on photography and videography expeditions. He feels it is important to change people’s perception of sharks and these encounters, and the images that come from them, offer a different perspective and appreciation for sharks.